Harness Lead is an adjustable dog harness with a leash attached designed to be an alternative to training your dog not to pull on leash. 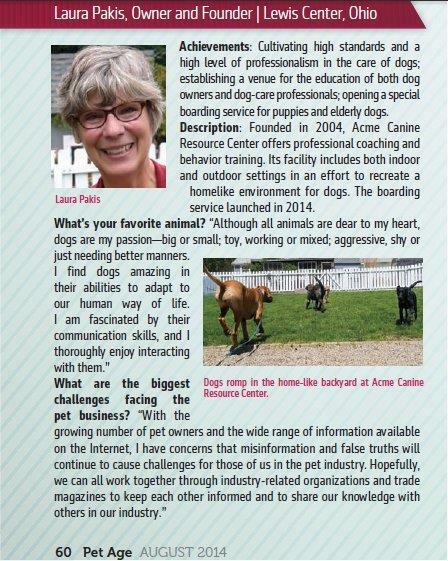 When working with a dog using the proper equipment and knowing how to use it is key to your success. Many dog owners purchase a tool, use it incorrectly and then criticize the tool for harm to the dog or not being effective. Not only is it important to know how to use the tool but also whether the tool is used for training or to stop a behavior. The Harness Lead is a tool to help stop a dog from pulling on leash but is not a training tool to teach them to walk politely on leash. Confused? 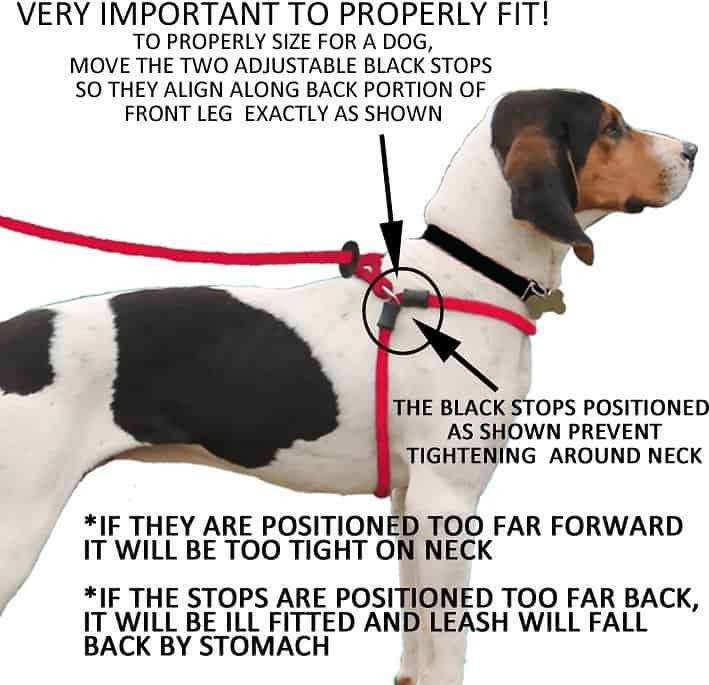 Think of it this way, the Harness Lead is designed to prevent a dog from pulling. This means when the dog is on another tool such as a leash and buckle collar, it will pull on walks. The Harness Lead’s design is such that it adjusts to any size or body type just by aligning the movable black stops with front leg so it will fit any body perfectly…so it is virtually escape proof. It is made of hand spliced nylon with a tensile strength of 3,700 lbs. This soft texture with no hard edges or buckles reduces chafing. Some of our reviewers had “harness anxiety” with putting it on the first time. There is definitely a learning curve. For this reason it would help to take your dog our in a fenced yard before going out in the road to make sure you have it secured correctly. Others felt the length of the leash could be longer. A couple wanted a thinner size for dogs under 30 lbs. Overall the leash is a little thick, about ¾” in diameter with a maximum length of 8 feet when it is totally stretched out. The length changes with the size of the dog’s neck and chest. We found that the Harness Lead worked well with the dogs in our care. Most responded quickly to the leash with only a few heavy pullers being resistant. It is easy to use once you get the hang of how to put it on and the dogs quickly adapt to wearing it. And it is washable. We feel the Harness Lead has a place in the dog world. It may not be for every dog but it is a quick and easy way to walk a dog without the agony of them pulling on leash. It is our opinion that this would be a great leash for a puppy or dog you don’t plan to train. 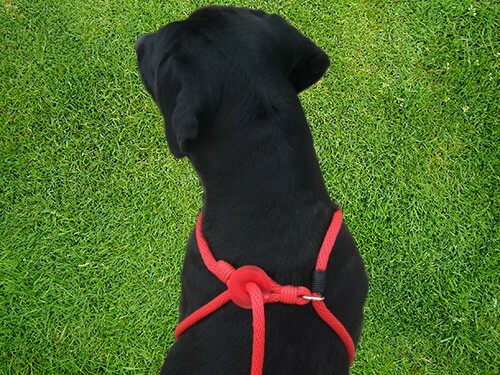 Acme Canine gives this product 4 paws up for great design and the Harness Lead return policy. 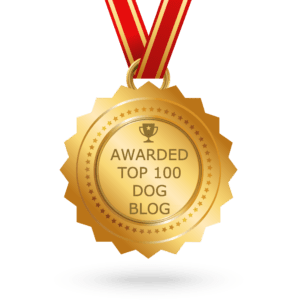 This entry was posted in Dog Product Reviews and tagged dog equipment, dog tools, Harness Lead, not pulling on leash. Bookmark the permalink.